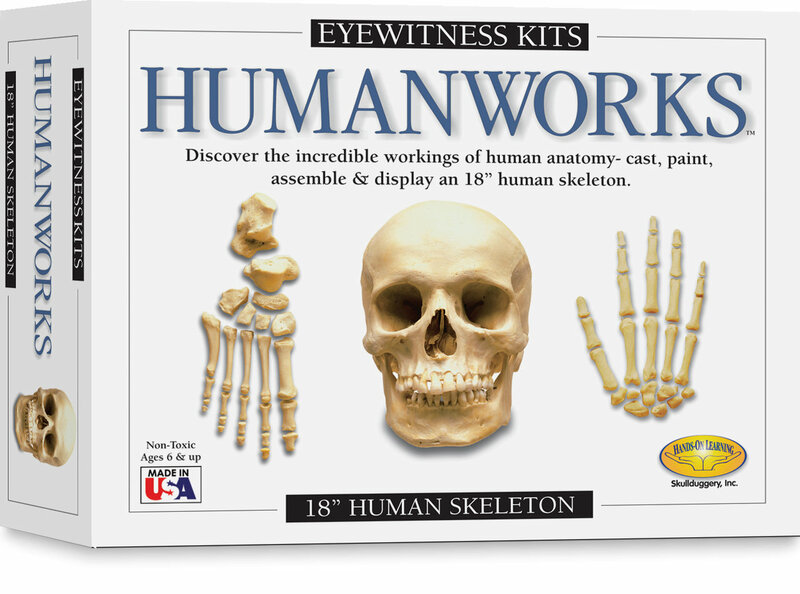 Humanworks is a fun-filled educational kit that is a perfect introduction to the anatomy of the human skeleton. Did you know that there are 22 bones in the human skull? Learn to recognize and name the major bones of the body. Cast, finish, and assemble an entire skeleton. Display it on your refrigerator with the supplied magnets or glue the skeleton to a surface of your choice. Non toxic. Ages 6 and up. Made in the USA.